'Powers', the second album from Ben Garrett aka Fryars, marks a fresh start for the young London producer. You'd be hard-pressed to find a copy of his 2009 debut 'Dark Young Hearts', but that's all set to change. Following a flirtation with pop (having written for Mika and Lily Allen), Cool Like Me represents a shift away from his usually ambitious sound to something more laidback, breezy and... cool. The lazy strings lend a woozy, late-summer feel that's perfect for this time of year, whilst the dance beat, house piano and fizzing hooks make this ripe for remixing. How this fits into the concept of 'Powers' is another question altogether, an album that reflects on the rise and fall of engineer Willow Grady. But as an immediate and delicious slice of electro-pop, Cool Like Me is hard to beat. 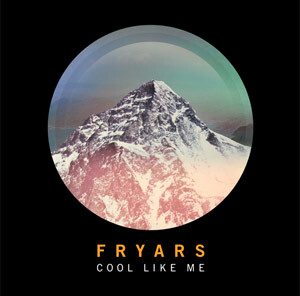 Listen: Cool Like Me is available now; 'Powers' is released later this year.